It had been a long time since I got this face scrub. The brand used to be called “Nature’s lap” but they have changed their name and now it is known as “Mitti Se”. As per the name of the brand, their products are natural and pure. You can read my reviews on their other products HERE. 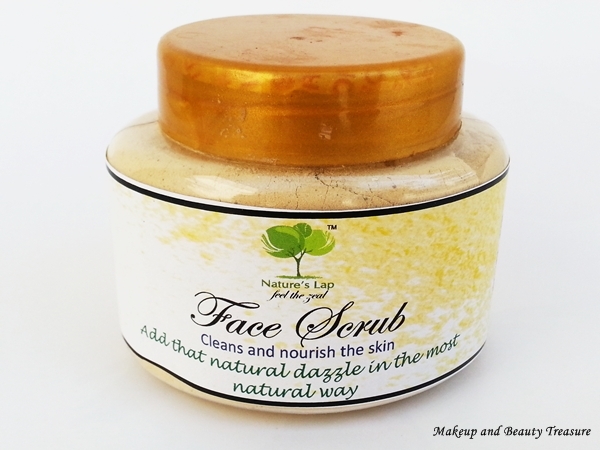 Today I am going to review Mitti Se Purifying Face Scrub* which has been my favorite for the last two months. If you use natural products then believe me they really make a difference to your skin! It is priced at 190 INR and you can buy online HERE directly from the website or on Flipkart HERE. The face scrub comes in a simple plastic tub with a screw top lid. All the information is printed on the tub. 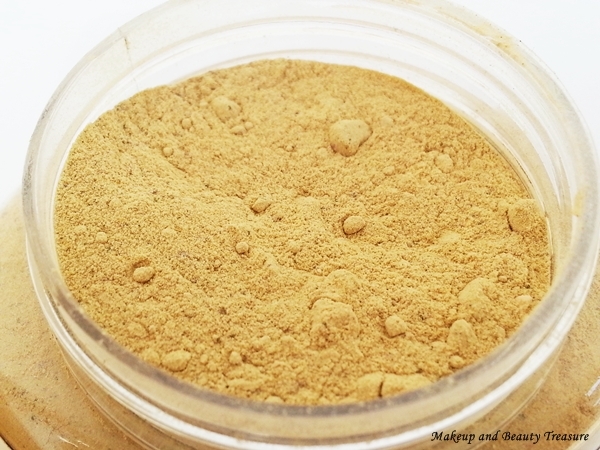 It comes in a powder form so you will have to mix it with water or rose water to use it. If you are a very busy person and love ready to use masks then you might not like it! Before using the scrub, I make sure to wash my face with face wash to remove all dirt, oil or makeup off the skin. 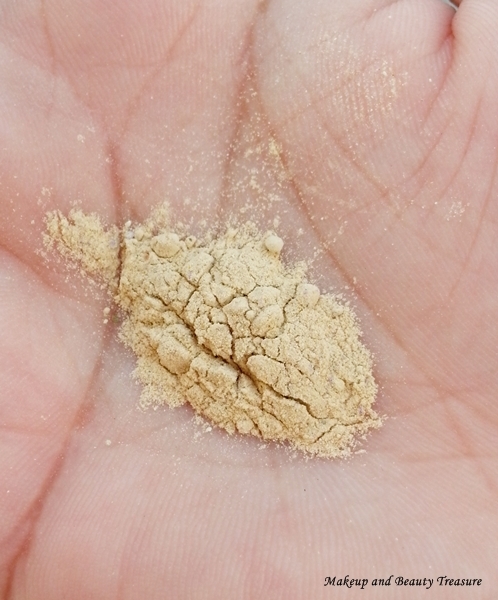 I simply take a teaspoon of face scrub onto my palms, mix with few drops of water and make a smooth paste. I then rub it all over my face and massage it gently using my fingertips in small, circular motion. The face scrub has fine granules (I think they are almond, lentils and neem powder) that feel nice and effective on the skin. They are neither very gritty nor very soft. The scent of the scrub is very mild and smells just like fuller’s earth! After massaging for a good few minutes (being a lazy bum, I massage for only a minute or two) I rinse it off with warm water and then splash cold water in the end. I always follow it up with a face mask though it is not a mandatory step! The face scrub cleanses my face and neck of any dead skin and makes it soft, smooth and clean. With regular usage, I noticed it gives a healthy glow to my skin. It is also great for people suffering from tanning. It is suitable for all skin types and does not dry out or irritates the skin. It can also be used as face wash but since I have oily skin I prefer using it after cleansing! 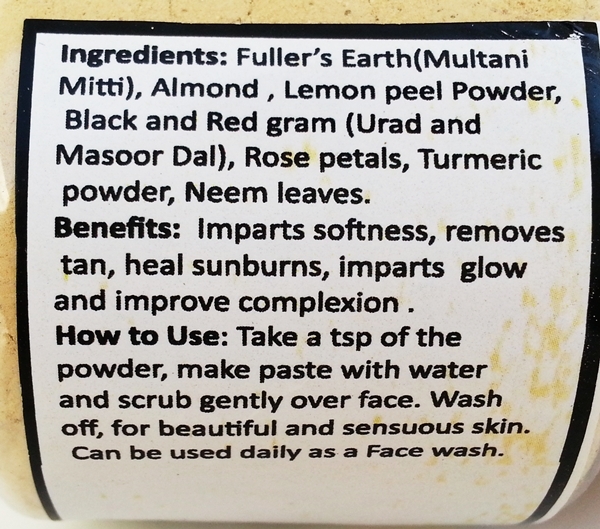 The scrub contains all good and effective ingredients- fullers earth, almond, lemon peel powder, black and red gram, rose petals, turmeric and neem powder. The ingredients totally reminded me of the homemade face pack my mom used to make for me. • 100% natural! No chemicals and preservatives! • Does not feel harsh to the skin. • If you love ready to use masks then you might not like it. 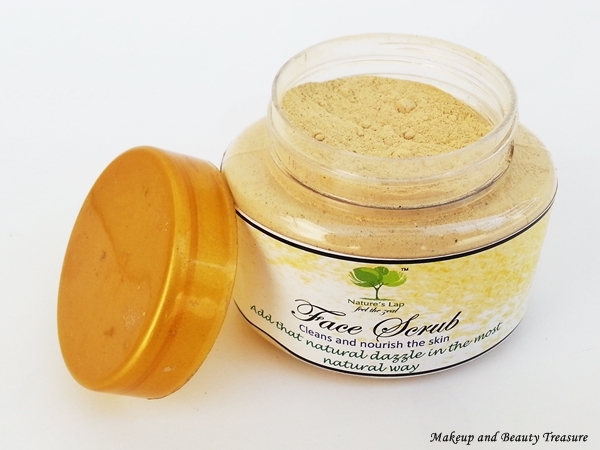 Mitti Se Face Scrub is a pure and natural scrub that gives a healthy glow to the skin. It makes skin soft, smooth and clean. It unclogs pores and gives a smooth appearance to the skin. I totally loved using it when my skin feels overly oily. If you love natural products then I would definitely recommend it to you! • Apply the face scrub on clean face. • Make your face wet so you do not need to tug your skin whilst scrubbing. • Pay more attention to the areas where you have blackheads and whiteheads.